DONNA — The Texas Education Agency struck down Donna school district’s appeal of a recent decision to upgrade the state-appointed monitor to a conservator, giving the state appointee higher level of oversight of district administration. A letter sent to the school district Tuesday and signed by TEA’s Deputy Commissioner of Governance A.J. Crabill, states he conducted an informal review of the decision and decided to uphold his original decision to upgrade former monitor Linda Romeros to a conservator effective as of the date of the letter, March 6. The district was first notified of TEA’s decision Feb. 13, but on Feb. 20 the board of trustees voted to request an informal review of the decision, which acts as an appeal. The agency received the request Feb. 27 and the review was held March 1, TEA spokeswoman Lauren Callahan said. “Sometimes, instead of district members coming up here they send the materials to be reviewed and then staff will just review the materials,” she said. The February letter cited several concerns leading to the decision to upgrade the level of oversight including a forensic audit requested by the district itself in which issues dealing with personnel and finances were brought up. “The severity and totality of the findings contained in the audit report illustrate the district’s inability to deliver education services within a system of internal controls that assures Texas citizens that property taxes, Foundation School Program (FSP) revenues and federal funds are efficiently and effectively expended,” the letter, signed by Crabill, stated. As a conservator, Romeros is tasked with overseeing the financial management and governance of the school district, attending board meetings — including executive session — and directing the board when necessary, and ensuring that corrective actions recommended in the forensic audit are implemented, according to the letter. Romeros was appointed monitor in June 2017 and tasked with overseeing the district’s financial handlings and governance and reporting back to TEA. At the time, she did not have the ability to direct the district’s actions nor be present during meetings, especially executive sessions where district officials consult with attorneys and discuss matters that can’t be discussed in public, such as personnel issues. 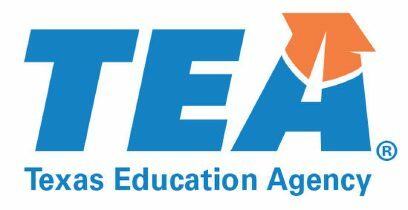 The initial appointment stemmed from a special accreditation investigation conducted by TEA, in which they found a “lack of internal controls to allow the board of trustees to comply with the requirements of the state law,” as per a letter sent to district officials in 2017. TEA’s investigation also highlighted issues with the previous board, specifically naming a conflict of interest on the part of former trustee Dr. Michael Flores, who failed to recuse himself from voting on items that benefited him financially, as well as the arrest of Eloy Infante and Elpidio Yañez for attempting to extort a law firm, and political retaliation of district employees on part of Yañez, Alberto Sandoval and Nick Castillo. Board President Efren Ceniceros welcomed the appointment in 2017, stating the district could use help. But the upgrade to conservator was deemed unnecessary by him and the board, which voted unanimously to appeal the move. Ceniceros could not be reached for comment Thursday. But with all appeal opportunities exhausted the board has no other choice left but to accept and comply with the appointment, which involves paying the conservator $85 an hour for as long as TEA deems necessary. “Please note that the elevation of the monitor to a conservator does not relieve the district of the responsibility to, at all times, operate the district in compliance with all applicable statutes and rules,” states TEA’s most recent letter.